It can all be a bit befuddling when trying to pick a new scotch: there is so much information on a whisky label, but then again sometimes there is also a supreme lack of info, neither of which is very helpful. Quite often I find that most people have no way of knowing what to expect from a bottle and, if they have had a few whiskies in the past, will only know how they place those in their own mind in isolation, unaware of their place in the grand scheme of things. The secret is that - like wine - the whisky producing regions of Scotland do have a general style which can be as significant and pronounced as those between Beaujolais and Rhone. There are 6 defined producing areas in Scotland and they do vary in the style of whisky that they create - some are just minor differences, but in other cases the stylistic difference can be staggering. Lowlands: The Lowlands are pretty much one of the smallest producing regions in Scotland by way of volume - there are only a few working distilleries. The whiskies made here are generally lighter and more aromatic, with floral, herbaceous and grassy notes as a result of the use of little peat and also their use of triple distillation in most cases. Highlands: The Highlands is the area North of the theoretical line between Dundee and Greenock, and covers a huge area of Scotland. There are over 25 working distilleries in the area and due to it's expanse it can be difficult to categorise the Highlands to one particular style. These whiskies are generally fuller bodied than those in the Lowlands but range in sweetness and strength of flavour, with some distilleries producing more heavily peated whiskies. 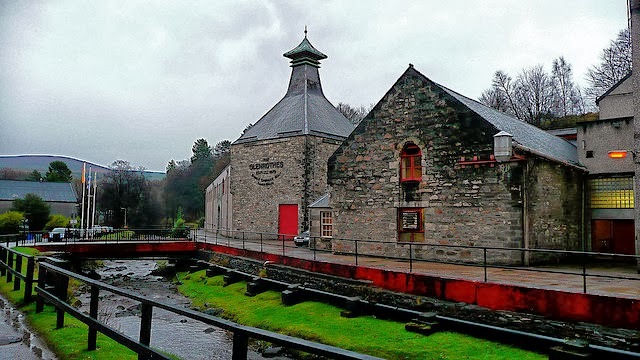 Speyside: Speyside is strictly speaking an area within the Highlands, and has the greatest amount of distilleries - over half of those in Scotland - with more than 80 currently working today. They sit on the sweeter end of the scale, and sherry casks are used widely in the heavier styled malts, whilst the lighter drams are more floral in nature. Cambeltown: Cambeltown sits on the west coast of Scotland as a peninsula a little south-west of Islay. 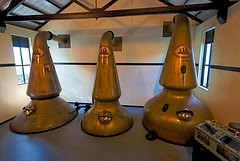 Unfortunately Cambeltown has suffered a true fall from grace with now only 3 of the former 21 distilleries in operation. 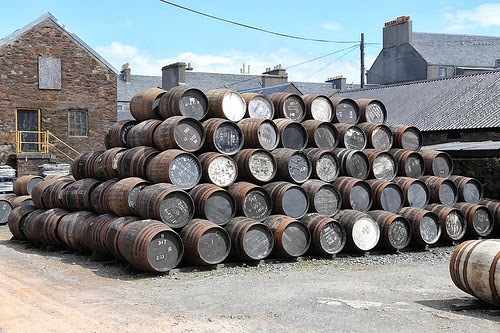 These whiskies are medium to heavy-bodied and they do feature peat influences, however can be easily told apart from the whiskies of Islay due to more salt on the finish. Islay: Here there be Peat Monsters! 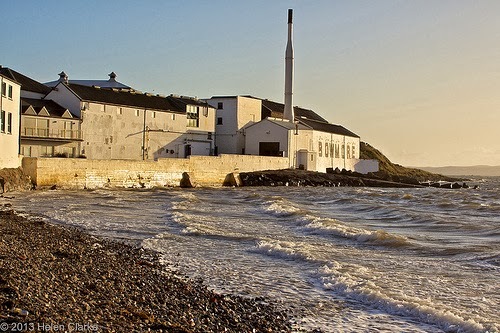 There are 8 distilleries on Islay all displaying a smokey, medicinal nature due to the use of peat. However, each distillery has a slightly different style, for example Bruichladdich's standard whisky soft, rounded and lighter, while still peat based, whereas Ardbeg is full-on, robust, angry, aggresive, in your face, over the top, mental smoke and peat. Some of the distilleries (Bruichladdich and Bunnahabhain) produce a lighter, less peaty style though, for those looking for just a touch of the smoke. 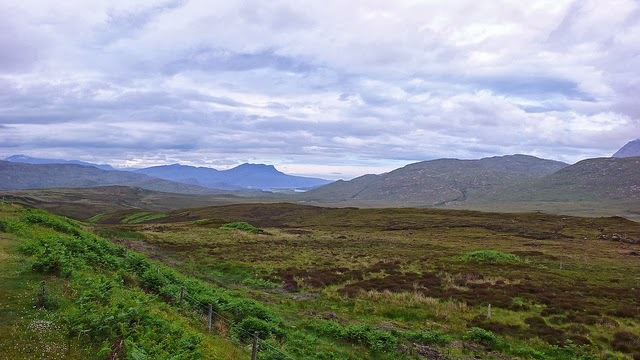 Islands: The Islands are a largely regarded as a sub-region of the Highlands, however there is a wealth of interesting and different distilleries here - I and others feel that it is worthy of it's own categorisation. Like the rest of the Highlands it can at times be hard to categorise this region, as the different distilleries do vary greatly with their location and proximity to the sea. 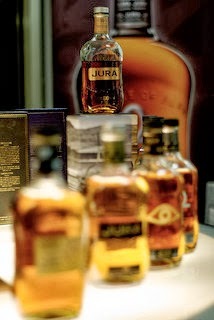 The whiskies do often have a light peat character with sea notes in the form of salt and seaweed. There are lots of wonderful whiskies from this region and they do really cover the spectrum from the light and elegant to the heavier and more complex tipples. Whilst these generalities are just that, generalities, they can be helpful when faced with a wall of bottles at your local whisky emporium. If you are looking for gifts, or just to expand you own collection, then a nice thing to try is another whisky from the same region. It can be really interesting to try more and more that do have stylistic similarities, but then tasting the vastly different characters that they impart by result of the distillery location, age in cask, the type of cask, bottling strength and so on it is a wonderful adventure... and a that's what it's all about. 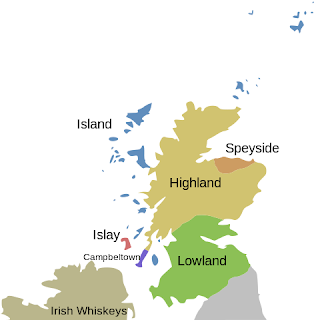 I'm looking for a lighter, less peaty whisky - think I'll try the lowlands and the islands! Thanks, Hugo!